To say that Michael Jackson was talented is like saying Mozart was a good piano player. The abilities of both men, especially in their youth, surpass description. Mozart was concertizing and wowing the royalty of Europe before the age of reason, and Jackson’s prodigious output needs no reminder. Upon his death, there were endless broadcasts of Jackson’s performances. But while the likes of “Thriller” and “Bad” remain matchless on so many artistic levels, it was his early performances as the youngest member of the “Jackson 5” that grabbed at the heart and memory. Sure, there was the sadness that came from watching this precocious, beaming, charismatic child and knowing what later became of him. But there was also a sense of wonder, wonder about where such gifts come from given that Jackson was too young to have been taught to perform like this. Even to refer to Jackson’s childhood performances as “performances” is somehow inadequate. They were more of an external display of an internal event, a “coming to the surface”, an eruption of something he intuitively felt and heard during which people just happened to be watching. There is a scene in the movie “Amadeus” which perhaps captures this “inner hearing” experienced by the likes of Michael and Mozart - this “something from beyond” for which the rest of us mere mortals must wait for a concert to hear. Mozart’s life is in shambles. He is broke, in debt, his marriage is crumbling, and at this particular point in the movie, his mother-in-law is raving at him in a high-pitched wail of insults and complaints. 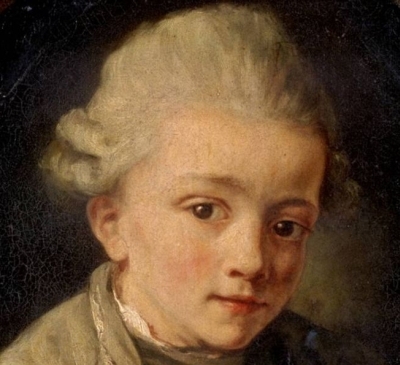 Mozart’s expression goes from despair to a daze. As the camera zooms in on him, the mother-in-law’s screams fade into the strains of a soprano aria. Dreamlike, Mozart absents himself from the mad scene, walks to the next room, slowly shuts the door, and begins writing down notes. The music Mozart is “hearing” increases in volume, drowning out the screaming in the next room, and the theater is filled with the sounds of one of the most incomprehensibly beautiful pieces of music ever composed: the Queen of the Night aria from The Magic Flute. Indeed, Mozart’s compositions rarely evinced evidence of effort. It was as if “he were just taking down dictation” as Salieri exclaimed. But dictation from whom? 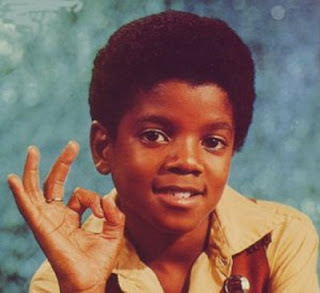 One gets this same glimpse of an otherworldly source when watching the young Michael Jackson. One “gasps” at the talent which is at once “raw” and “finished”. It’s as if Michael is simply “taking dictation”, translating into movement and sound something only he can hear. It’s just a thought, but i sometimes wonder if God doesn’t make such creatures with extraordinary, incredible gifts in order to shock us awake. Perhaps He “hopes” that by wowing us with a creature too amazing to ignore, we might transcend the creature and glimpse the Creator. It’s as if God wants to say: “Watch this!” St. Paul tells us in Romans that God can be known through his works. Sometimes it’s a dazzling sunset or a magnificent mountain. And sometimes it’s a Mozart or a Michael. In the end, it appears that both lives were immolated upon the pyre of their own internal creative fires. Mozart died at 35, and it might be said that Michael also “died” at 35 (though his body followed 15 years later). History has been kind to Mozart. The magnificence of his work has diminished the specter of his personal peccadilloes of which there were many. But Jackson may have lived too long for history to do him the same favor. Sadly, Michael’s “last performance” was his slow, painful self-deconstruction, carried out in full view on the world’s stage. Yet, Jackson still died before his time. And one does wonder if God, having created these burning creatures, isn’t moved by mercy to steal them away before their lights burn out altogether.